Meta: As Cloud Hosting has become part of our highly technologic world – employed to store and to order data, but not all of us know about it. Let’s find out what it is! For those Internet users whose demands for virtual resources (such as CPU, RAM, HDD, etc.) are not specifically high, Conventional Hosting might still be a good choice. It could be easily used for storing web, running an application, or administrating an email system. However, due to the trend toward the speedy increase in need of virtual storage resources of late, Cloud Hosting was created and has been gradually replacing the old Hosting thanks to its fascinating advantages: more stable, higher readiness, more flexible, and especially lower costs. We are getting there, but first, you need to understand what a Hosting (or Web Hosting) is. Hosting, in general, is the space in the Host Servers (or Host Computers) used for the storage and operation of relating services. It helps services to be accessible anywhere as long as there is Internet available. Cloud Hosting is a new technologic term referring to the hosting service which operates on the Cloud Computing technologic base. Cloud Hosting’s operation is similar to that of other ordinary recent Web Hostings. It also employs common types of control panel to administrate the hosting, has a similar configuration and can set up features like those of Web Hostings. However, the only difference between these two kinds of hosting is that Cloud Hosting runs on Cloud Servers that are actually clusters of Host Computer, all of which would provide for or carry out the orders issued from your private computer, while acting as reserve sources and will take the place of one of the operating servers in the event of technical problems at the same time. As stated above, Cloud Hosting is operated on the Cloud Computing base that employs the best basis of large computer firms (such as CISC). It also employs the Cloud Storage system that applies Distributed data store Principle running on Cloud Linux operating system. But above all, Cloud hosting deploys Load Balancing technology among computer servers. All of this results in much speedier accesses in comparison with ordinary Web Hosting. Not to mention, Cloud Hosting is safer as its data security capability is significantly higher, while the Downtime rate for websites – should there be any glitch – is limited to the minimum. To put it simply, the servers are like a team of computers named Cloud Hosting, in which each of them is armed with the most contemporary techniques. They work together to complete your virtual biddings and each of them is completely capable of momentarily stepping in and do the tasks of the failure one(s). What’re Advantages of Cloud Hosting Service? Cloud Hosting service allows the websites of all sizes, even the newest or nameless ones, to reap the benefits of the mots state-of-the-arts technologies for a price which is said to be agreeable to any customers. What’s more, the user will only pay for the amount of data capacity they actually use, resulting in the chance to measure the budget more accurately. 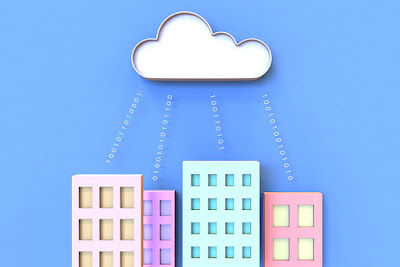 Cloud Hosting does not limit the number of Host Computers per website or website system because its working is based on the most modern technologies. Therefore, its extension nature is extremely high, allowing users to deploy freely the resource of a website which is stored on Cloud Hosting and which is controlled by many Host Servers. The Cloud Hosting’s stability rate is therefore 300% higher than that of conventional Hosting. Cloud Hosting has more advantage as its being an assembly of Computing Servers. If there is any malfunction or failure occurred to the server, the system will automatically charge the tasks to another physical server so that the resource is still accessed seamlessly and the orders are still carried out smoothly. This method is also a great help in preventing any delay in data transportation in case of one or some of the links are overloaded or blocked. In comparison with traditional storing methods, Cloud Hosting technology can eliminate any physical limit from the general development. Thus, it makes the storing/saving solution exceedingly flexible. All of your information and data on any website will be constantly backed up and protected. That’s because at present, the utilization and confidentiality of a website’s resources are ensured to be carefully stored in a Cloud of Hosting Serves – which means your data will be kept by a large number of Computing Servers (instead of just one Computing Server like before). If one server goes down, many others harboring the same information will still stand and your data will be wholly safe. In summary, Cloud Hosting offers the opportunities of widening the line bandwidth anytime when the need arises and optimally boosting the network access’ speed. Therefore, it can satisfy any type of customers who could be from businesses, organizations, E-commerce websites, or even individuals or forums that require stable and effective administration of data and information. Cloud Hosting operates on the Cloud Computing basis which brings about more rapid access for users whenever they are – as long as there is Internet accessible, of course. The high reliability regarding customers’ data and private information, together with the visibly minimum in the probability of website’s downtime, will put the clients’ minds at ease as it has brought about outstanding commercial effects for businesses and individuals alike.